Of the many styles of wine found on store shelves, one commonly misunderstood varietal is Rosé. Every summer, newspapers, magazines and blog posts tout the arrival of another vintage, but how much do you know about this pink wine? One unique characteristic about Rosé is that it often appeals to both red and white wine drinkers. A bottle of Rosé is the perfect choice to bring to your next summer dinner party, especially if you don’t know if your host prefers red or white. But if your host has never tried Rosé before, be prepared to answer a few questions. Share your knowledge about this summery, crisp wine, and they’ll be sure to pop the bottle sooner rather than later (and hopefully share with guests). Rosé wines are made in numerous regions. Many of those regions stipulate that the wines have a maximum level of residual sugar (RS in wine lingo.) In Provence, for example, it is a low 0.3-0.4 percent (3-4 grams per litre). Yes, you can find sweeter styles, such as Portugal’s Mateus. In general, Rosés from the New World will be sweeter than Old World versions. The Greeks were making pale wines from red grapes over 2,000 years ago. They didn’t have the modern equipment winemakers have today. Archaeologists conclude the grapes were crushed immediately after harvest, and the maceration time was probably very short. 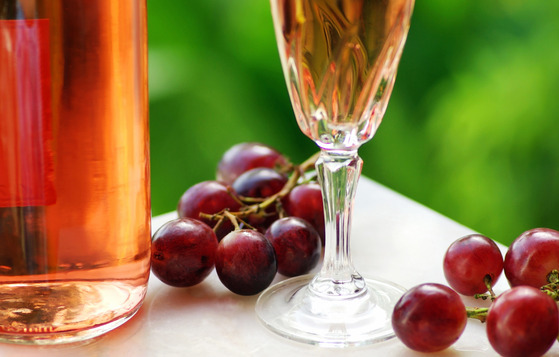 Rosés from Southern France were highly prized and exported throughout the Ancient World. The Romans loved pink wine, too. They considered darker wines to be for the peasants and soldiers who needed the extra nutrients in the grape skins! Rosé is perfect for warm summer days and nights. The soft aromas of ripe juicy berries, soft stone fruits and a touch of tropical fruit or citrus are just the ticket for picnic or poolside. But these very same qualities, along with the refreshing acidity you find in many Rosés, mean you can enjoy them all year round. Your Thanksgiving table, laden with a dizzying array of tastes and textures, is terrific partner for a dry Rosé. And this varietal makes for the perfect aperitif wine all year long. As with other styles of wine, there is a vast price range to choose from for Rosé, but in this category, the less expensive wines ($10-15 range) are a good value. Some imported wines and those made by smaller wineries will probably cost you a bit more (around $25-30) but are often worthwhile if you’re looking for a special bottle or a wine that shows its terroir. If you’ve been to the South of France, you know that Rose is the wine of choice at many bistro tables. Drier style Rosé has a vibrant freshness and thirst quenching acidity, making it the perfect selection for a wide range of foods. From seafood, shellfish or salads all the way to pork, duck, red sauce pastas and barbecue, Rosé pairs well with many dishes. Every summer, a new vintage of Rosé hits the shelves and most of those will be at their peak over the next 12 months. (from Bandol in Provence), Tempranillo (Rioja, Spain) or blends of Grenache, Cinsault and Carignan (Rhone Valley, Tavel and Languedoc in France) may develop softer fruit characters if properly cellared for a short period. As with any wine style, it really is a personal choice – what you prefer in your glass. Rosé is gaining in popularity every year, so finding one (or many!) that suit your palate should not be a problem. Supermarkets and big box wine stores now carry a larger selection than ever from a wide range of countries and producers. As with other wines, you may want to strike up a friendship with that nice person at your local wine shop or purchase through many of the online retailers, especially if you’re looking for something from the Old World. Rosé may also be made as a by-product of red wines. This process is called saignée (French for bleed). 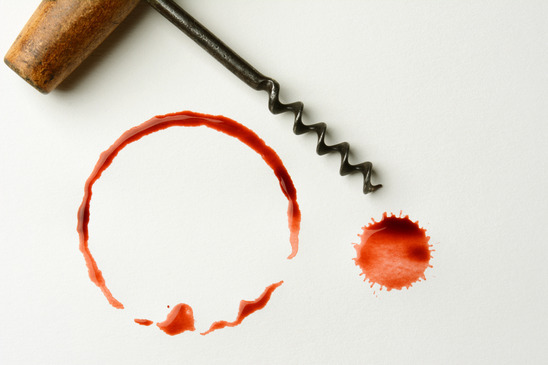 The grapes are crushed and during the maceration process, the winemaker will take away or bleed off some of the liquid. This paler juice will then be made into a Rosé and the remainder into a red. It’s often thought that Rosé is created by mixing white and red wine. In most countries this is strictly forbidden under law, except for Champagne. This is the only appellation that allows such blending and proves the theory that the only sure thing about French wine rules is there is always an exception! When I worked in a tasting room in Washington State several years ago, we had a wonderful, award-winning Rosé of Sangiovese. One afternoon, a group of men, in full Harley Davidson biker gear, approached the tasting bar. Guess what they wanted to try? They left with two cases of Rosé strapped to the back of their bikes. This is what I was searching. Recently I have tasted rose wine from Winesaver (online store). I must say it was splendid. Planning to taste the other varieties in rose wine. I wonder what would be the names of them…!